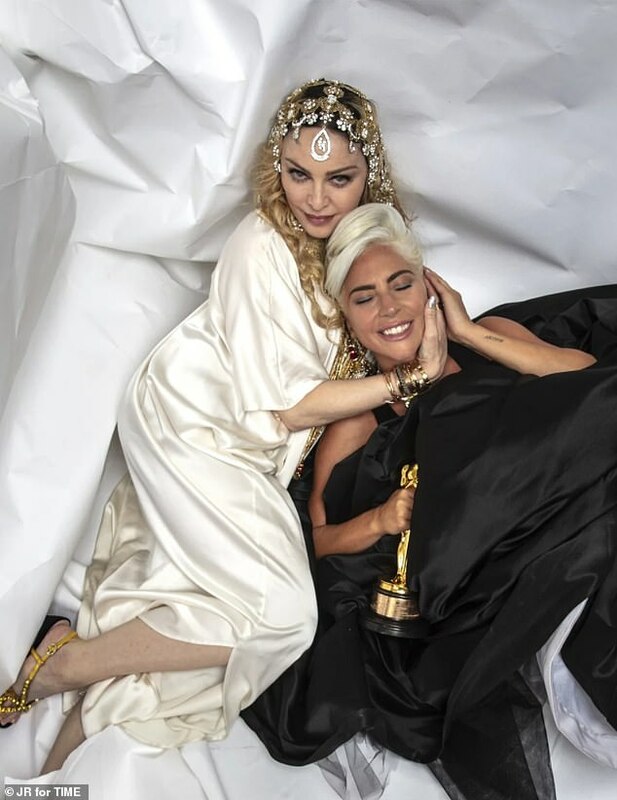 Lady Gaga and Madonna feuded for eight years over Gaga’s song Born This Way. But all seemed to be well between the mega stars on Sunday evening during Guy Oseary and Madonna’s Oscars after-party in Los Angeles. There was a strict ban on social media posts, but TIME was able to partner with the artist and photographer JR for an exclusive look at the partygoers. Madonna had on a diamond veil that made her look exotic; she added braids to her long blonde hair as well. And the icon was clad in a beige silk Indian dress with several gold bracelets. She had her hand around Gaga who was still in her black Oscar dress and with her blonde hair worn up. 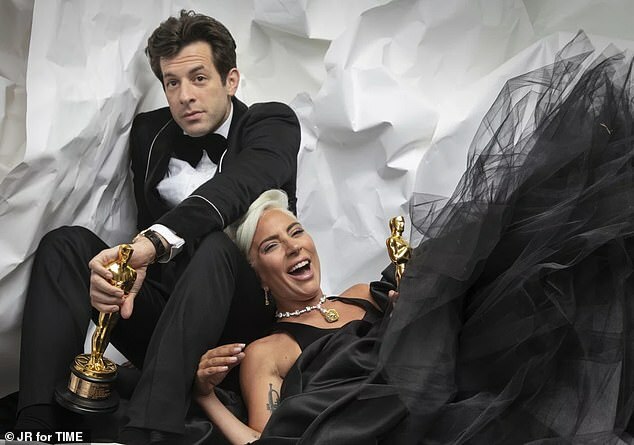 She was also clutching her Oscar. 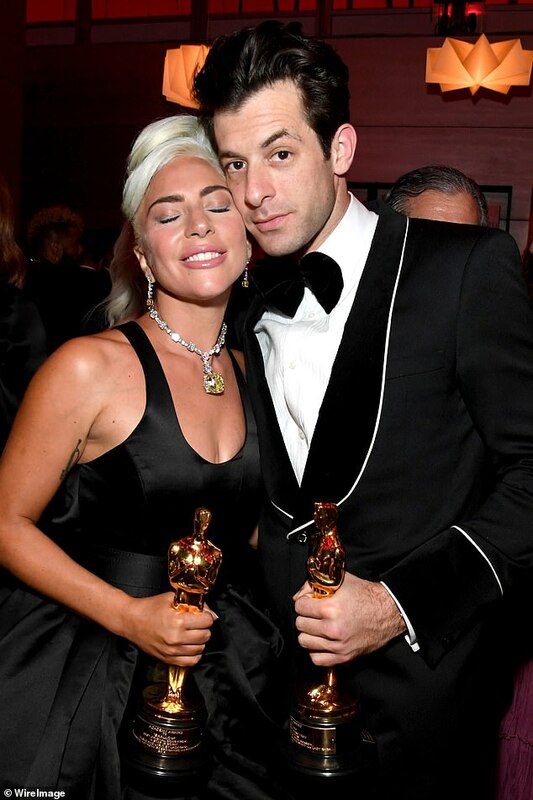 Gaga had won an Oscar for her duet Shallows with Bradley Cooper for the hit A Star Is Born. And she delivering a passionate performance with Cooper on stage prompting tweeters to go into overdrive as they speculated on a romance now that Gaga has broken off her engagement. Lady Gaga and Madonna started their feud in 2011. At the time critics claimed that Gaga‘s Born This Way sounded a lot like Madonna‘s Express Yourself. 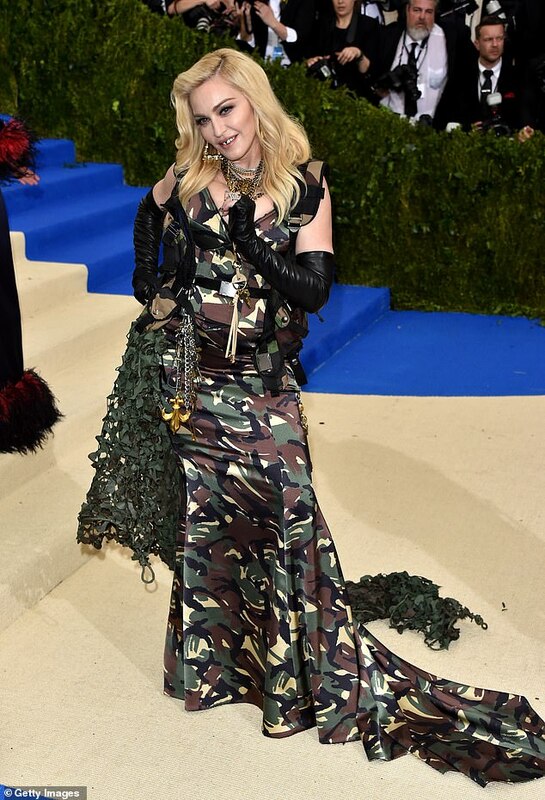 In 2015, Madonna seemed to agree that her track had been borrowed. Madonna didn’t seem to like that as she shared a meme of Hillary Clinton looking at her phone. Also at the TIME party were Aston Kutcher, Mila Kunis, Ibeyi and Swae Lee.